The term passive income sounds great! It appears as if you’re getting money for doing nothing. Well, it is possible to create income streams that take very little maintenance but first, you must put in the hard work or invest some money. This isn’t something to get rich quickly and you won’t earn millions. But an extra revenue stream can make a big difference in your life. In this article, we will be considering online methods of creating a passive income. Most readers won’t have the resources needed to invest offline but they will be able to invest their time and effort. A Passive Income is an income stream received regularly, that requires little or very little effort and doesn’t require a real-time presence. However, before earning your passive income you have to invest either time or money. Most of us earn our living from an Active Income. This is an income that is generated directly from the time and effort you put in. When you stop putting in your time and work the income will cease. Even when you are earning money passively you will still have to put in some work. There is no such thing as passive income that’s 100% passive unless you have a large amount of money to invest in an interest-paying bank account. For this article, the definition of passive income is an online business that can allow transactions and growth without an actual presence. This can give you the freedom to work from anywhere and whenever you like. One great advantage of an online business is that is costs very little to set up. An offline passive income, from rental property or an interest-paying bank account, will require an investment of hundreds of thousands of dollars. Not being prepared to put in the hours of work necessary is the reason most people fail to carry their schemes through to fruition. So, you want to start building an online business that will provide you with a passive income down the road. Here are a few points to consider before you start. Do it to help people not just for the money. This is the foundation of your business. In general, the better you serve people the more you’ll get back in return. I think affiliate marketing is one of the best ways to create an income online. You are promoting or recommending other people’s or company’s products and earning a commission when people make a purchase. You will really need a website to do this successfully although there are some other methods of affiliate marketing. Remember you want to recommend products that are going to help your audience, therefore you will need to know what problems they might have. This is the same for the different business models mentioned in this article, you need to identify the problems, the pains, and the struggles your audience is having and find some solutions. You might be able to create your own product to provide a solution but often there are already solutions out there that you can recommend to your audience. A word of warning, don’t promote the first thing you find, make sure it will really help your audience. Many affiliate marketers are ready to promote a product because it pays a good commission don’t fall into this trap. A good rule is to promote products or services you know personally. It will have taken you a long time to build the trust of your audience don’t ruin it an instant by recommending something just because they pay a good commission. Very simply you find a product or service to promote, always remembering that this should help your audience. For example, I promote Wealthy Affiliate because it’s an online training program that I use. I know what they teach works and they include all the tools you need to start an online business. As my audience is mainly made up of people who want to make money online, I am sure they will find this useful. When you write articles or reviews you include your affiliate link. If your visitors click on the link and go on to make a purchase you get paid a commission. To get visitors, your articles have to be well ranked in the search engines, using on page and off page SEO (search engine optimization) and this takes a fair amount of work and time. This method is free and is what I recommend to start. Later you can try paid methods to get traffic, for example, paid per click advertising or facebook ads. These methods can get you traffic faster than the organic SEO but at a cost. 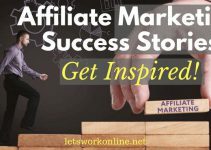 For more information about getting started with affiliate marketing read this post. Create a blog and sell advertising space. To be successful with advertising you need to be getting some good traffic to your website. Typically, you will be paid by the number of clicks you get or the number of views. There are a few different possibilities for having adverts on your site. As you are dealing directly with the advertiser you can create a deal that may be a flat fee, based on the number of views or the number of downloads. You can then include an advert somewhere on your website, in your newsletter, in an email you send out to your list, by having a sponsor to your podcast or video. 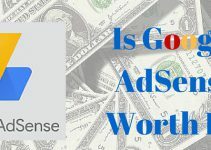 AdSense is probably the best-known and easiest way to make money from advertising, as you don’t have to do any negotiating. You can place the ads where you like on your site. They are many conflicting views on AdSense with some people who love it and some who find it distracting. Personally, I don’t like having ads in my content because I find it’s a distraction from the content. When people click on an ad they leave your site, probably to never come back. There are also many other advertising networks you can try, such as media.net, infolinks.com, or buysellads.com. The first thing to decide is what to write your ebook about. Again this will depend on your audience and what they want to know or what problems they want to solve. Once written you will need to decide how you are going to distribute it. You have 2 main choices, distribute on Amazon or distribute on your own website. To publish on your own website you will need some very good traffic but you have the added advantages that you can probably charge more and you can add bonuses. Also, you will have all the information on your customer and may be able to sell to them again in the future. On the downside, you will need to deal with the technical issues for sales pages, payment, and delivery. Not insurmountable problems but more work! The advantage with Amazon is that although they charge a commission they have the traffic and they deal with all the technical details. Amazon is probably the best way to start if you don’t have much traffic but there is a lot of competition and pressure to keep your prices really competitive. For more information on writing, publishing and marketing an ebook, Pat Flynn of Smart passive Income published an awesome free ebook you can download here. An online course is essentially some training that people get online. It can be marketed either as a one off payment or as a recurring payment. Typically they will log in with a username and a password to get access to the training. The training can be in the form of videos, transcripts, audio files or written instructions. Sometimes there may be tasks to complete and communication with the teachers or other course members. The goal with an online course is to help the members achieve something. Your course should be broken down into small sections. I prefer courses that provide step by step instructions, that start from a certain level and gradually progress. Video presentation is probably the most popular and great to follow as you can pause whenever you like, replay a few times until you get the hang of a certain point. Through the online platforms that exist already. For example Udemy or Lynda. Anyone can produce a course for Udemy but it does have to pass a review. Lynda is a little more difficult as you have to be a recognized expert in your field.The great advantage of using these platforms is that they take care of all the nuts and bolts – the sales page, the payments, the customer support, the refunds etc. This means that you can concentrate 100% of creating your course. The biggest disadvantage is that they take a commission of 50% but is probably well worth it for most of us who would struggle with the technical details. You could set up a course as a part of your own website that is accessible via a password or have a completely separate site.There are some WordPress plugins, for example, WishList or WPCourseware that can help you do this or there are several online platforms such as the Academy of Mine, Teachable or Thinkific. The pricing structure for these platforms can be a monthly fee or you can use the platforms for free and pay a percentage of all transactions. With this type of site, your visitors will pay a fee to access your content. This is a great sort of income as it’s normally recurring. However, to be successful you need to give people a reason to continue as members. 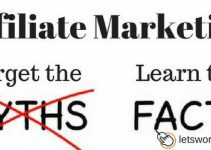 Using Wealthy Affiliate as an example once again, they are essentially a training platform. If training was all they provided many members would only stick around long enough to finish the training and then leave. To avoid this they have several other features that keep people as paying members. They include hosting, a keyword tool, an active community and weekly live training sessions. Now, why would you leave when it would probably cost you more to get something equivalent and you would probably not find a community as active and as helpful as this one. If you don’t have the tools to keep them as members, then you must provide value in another way perhaps exclusive content that the ordinary public doesn’t have access to. You have to give them a reason to keep paying month after month! There are the plugins that I mentioned in the online courses above that can help you to set up an online membership site. Once you have a membership site you will be constantly marketing your site trying to attract new members. As I mentioned earlier in the article there is no income 100% passive. As with most other methods of creating a passive income, the first things to consider are not about how much money you can make but more about the benefits it can bring to the users. How will it help the users? If you focus on helping the users of the app you stand a better chance of success. You will be motivated to providing value, you will be willing to devote your energy to the product even if you’re not making money. If you’re concentrating on the money aspect you will be more inclined to throw in the towel because you’re not making money. Once you have an idea for your app you need to get it made. But before committing more time and money to the project it’s a good idea to make sure there’s a market for your app. You could try Kickstarter to validate your idea. If people are willing to invest in your app then you could be on to a winner. Alternatively, you could conduct surveys, ask in forums or look at similar apps to see how there are selling. Once the idea is validated, if you have no knowledge of coding there are many app building platforms that can help you build an app on a budget and quickly. The last part of the puzzle is to consider how you will market your app. Although, you should really consider this long before the app is built. If you enjoy photography you can earn a passive income selling your photos online. You can turn your hobby into a small business. Bloggers and website owners are some of the biggest consumers of images. Most bloggers include at least one photo with each new blog post they produce. There are many photos that are available for free but bloggers or business owners are still prepared to pay for the right photo. You take the type of photos that are in demand, make sure they are photos that the stock sites actually want and need. The stock photo sites usually provided a list or guidelines of photos they would like uploaded to their database. You could also look at the most downloaded images on the stock sites to get an idea of what type of images are in high demand. Your photos should be of good quality, clear, crisp and not have too many edits. Once your photos are accepted don’t expect to make a ton of money. Some people manage to earn a good income but they have hundreds or probably thousands of photos online. This is an extremely competitive market, for example, Shutterstock claim there are 100,000 images added every day! In addition, the stock photo sites take a hefty commission from your sales. An alternative to selling your images through the stock photo sites would be to sell them on your own website or blog. You won’t get rich selling your photos but it could provide you with a nice little passive income. One of the hardest things about building an online business that will provide a passive income in the future, is that you have to do the work without getting paid. Normally, when you work you are paid a set amount per month or per hour. This is not so when you build your own online business. You can put in months or even a year or more of hard work before you start to get some return. Even when you start earning you will have still doubts but you must keep on working. Don’t let the doubts stop you building your passive income. Building a passive income can be a great way to start your journey to financial freedom. It may take time and hard work but keep going, keep taking action. Making a passive income online is possible! Anyone who tells you it’s easy or promises you a turnkey system is just trying to make money out of you. You will need to be determined and patient. There are many ways of earning a passive income and we’ve looked at just a few in this post. Whatever you choose you should make sure you are giving people value and providing awesome content. Your principle goal should always be to help your audience. Concentrate on that point and you should do well! Have you started to create a passive income project or are you already earning a passive income? Let us know in the comments are below. Great read Peter, always looking for extra ways to make extra cash. I just wanted to share something I’ve been doing recently. I run an office and have noticed that unused toner was piling up in storage. Looked into returning but that was no good. Tried out the site http://www.tonerconnect.net/ and was impressed. They had quick service and that payout was nice. Thanks for the idea Cade. Great for anyone in a similar position! Great article on the difference between a passive and active income. I also like the examples you provided. I have been blogging for several years, but just over a year ago I decided to focus my blogging into niche website and then do affiliate marketing to make a passive income. It works. Let me tell ya, it certainly works. I have three websites that I do affiliate marketing through it is a lucrative way to make money while I am sleeping, while I am at my day job, and while I am on vacation! Everybody should turn a hobby into a means of making themselves a passive income. Great to hear of your success! Having a hobby you can earn money from is a great way to make a living or earn a little extra money passively. Anybody can build a niche site, but some training is a good idea because there’s a lot to learn. You will avoid some mistakes, have support and get earning faster. This a is a great guide to different ways of creating passive income. I like the idea of affiliate marketing as it is one of the most cost effective ways to start an online business. I really like the idea of selling photos online. With the rise of drones with 4k cameras, selling aerial photography could be good business. Yes, affiliate marketing doesn’t cost very much to get started. Selling photos can be a good way of earning money online but it’s a very competitive market and you would need many photos to make much money. Aerial photos could be a good idea, see what others are doing, if there is much competition and if the stock photo companies are searching for these types of photo. While starting out, it is really difficult to go by the logic of helping people rather than making money. We all get into this because we want to make some money and have an additional income. How do you keep that balance where you are actually trying to help people but at the same time you are focused on making money as well. I agree when you start building an online business it’s hard to concentrate on helping people. It’s easy to fill your pages with affiliate links that encourage readers to “buy now”. But before people buy they want an unbiased review or information on a product. Write an unbiased review, point out the pros and cons of a product and include one or two affiliate links. Little by little people will begin to trust you and start clicking your links. This may take a little time but don’t give up, keep writing posts or reviews and you will start earning money. What a great resource you’ve created to guide those that really want to learn how to create a passive income source. I think all your methods are solid, I like building niche sites and use affiliate marketing and advertising. Then combine that with email marketing and selling an ebook seem to go together well. Many times you can use a combination of these methods to make passive income a reality. I was just talking about a smaller niche site a created, need to get it developed more. But the one post I made I got it to rank on the second page of Google. This is one post and a 4 page website I’m talking about here and it made me $108 dollars the other day. It’s not much, but it’s a good example of how something like ranking organic content through a website can be a solid source of income. Great post as always Peter, very helpful! I agree many of these methods can be used together, thanks for mentioning that! Managing to rank a post from a 4-page website on the 2nd page of Google is good work, although I suppose it all depends on the keyword you are targeting. Good organic rankings are not too hard to achieve once your site is a few months old and you have learned how to optimize your posts for the search engines. It’s a shame many would-be affiliate marketers aren’t prepared to wait that short time to see their sites gain traction. Have you reviewed the “4% program” by Vick Strizheus ???????? No, I haven’t reviewed the 4% Group. Maybe it’s ok, I don’t know, but do your research before buying because Vick has been involved in some shady programs in the past.